Join us in the hunt for that cheeky hopping bunny. Let your fellow Galaxians see what you like. Click the 'recommend' button on any torrent page to add picks to your profile page. Not enough? 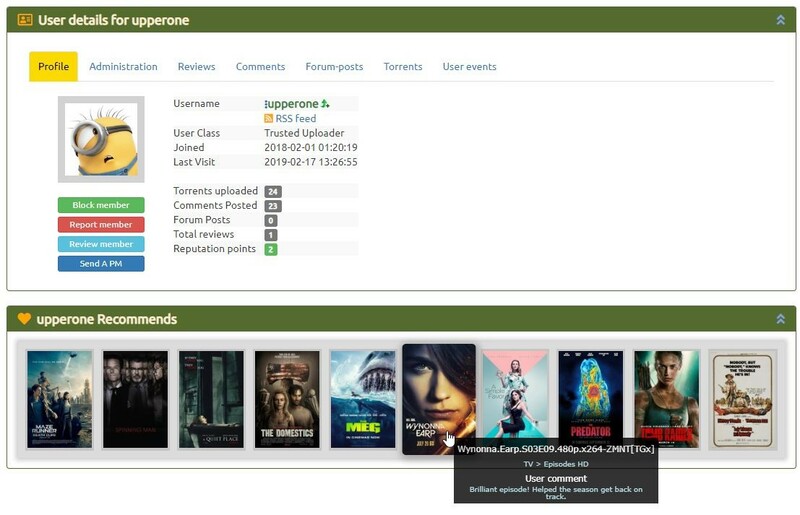 add a comments to your userpicks to tell us your opinion on the torrent. you can recognize a member with torrent picks by the grain icon right next to the username. You can now find a Movie or TV show by putting it's IMDB ID in our searchbox. Or click on the "IMDB torrent search" button on a torrentpage to find all other torrents linked to the same IMDB. To participate in chat please log in or register.